“Kiera is looking forward to her eighteenth birthday. The official end of school, a party with her best friend, and chocolate cake. A sudden military draft, no possible exemptions, had never crossed her mind. “Kiera is terrified! Getting drafted would mean leaving her family, her little friend Jade—life as she knows it. Wow. Just… wow. This book was a m a z i n g. It was sweet, sad, and just all-around loveable. I loved this book. It was amazing. Just amazing. Honestly, I didn’t pick up on the things that I had mixed feelings on from my first read. The only thing that I didn’t prefer was the romance. It was not bad at all, and most people wouldn’t have a problem with it, but I prefer not to fill my mind with romance, including hugs/kisses/etc. I did appreciate that this was very low-key and it was all between a married couple (long story, but read this if you want more info: SPOILER!!! 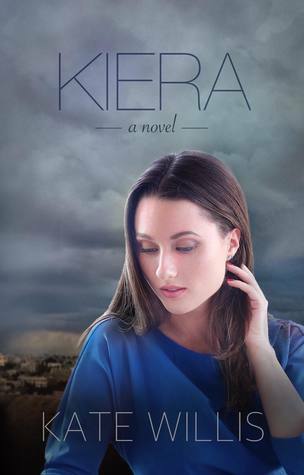 Kiera marries Brennan out of necessity, so she won’t get drafted. Basically, at the beginning, she doesn’t love him (at least not in a lovey-dovey way), but at the end, she does. That’s where the romance comes in. 😉 SPOILER END!!!). ~We need to see more of Destiny. She needs a happy ending, as do the rest of her family (especially Kent… *cries*). SLIGHT SPOILER!! Sparrows are now special to me, and I want to know if Kiera’s song is real. ❤ (Note: I found out that it is, but I’m not going to listen to it, because Kate said it’s kind of “rocky”. 😦 Oh, well!) SPOILER END! !